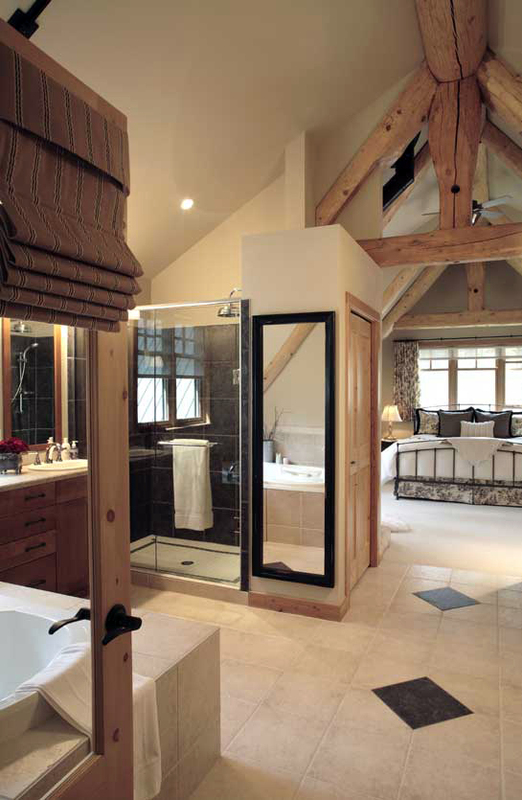 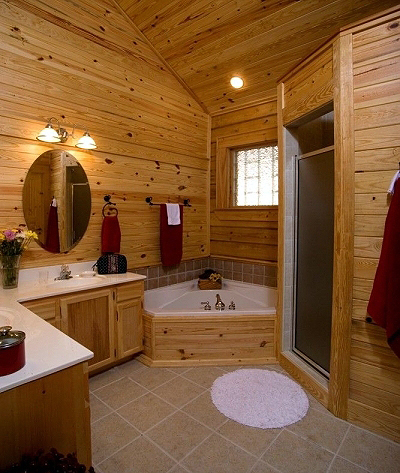 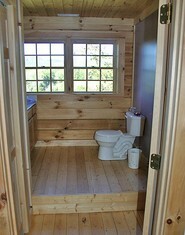 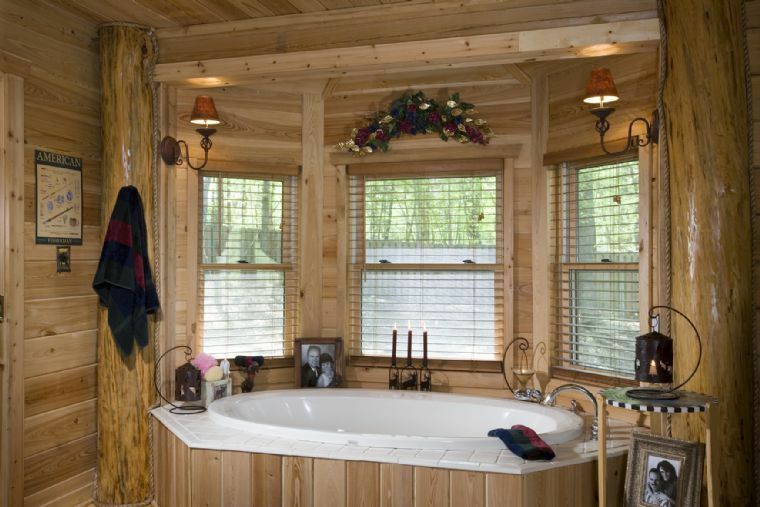 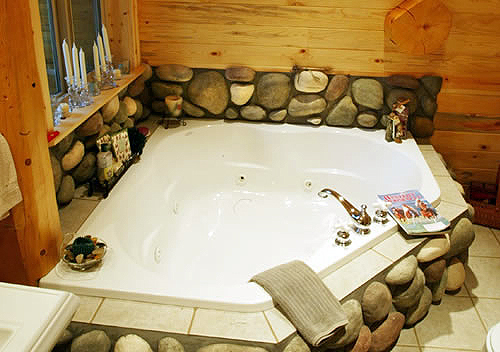 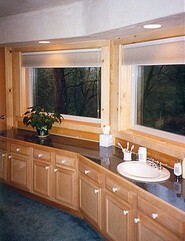 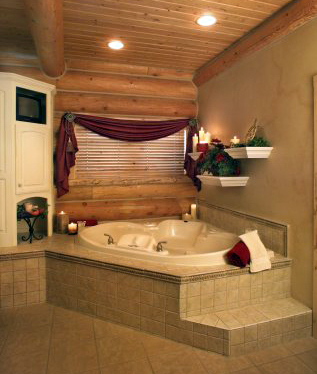 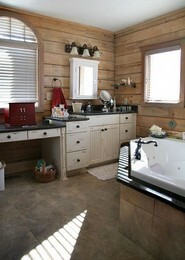 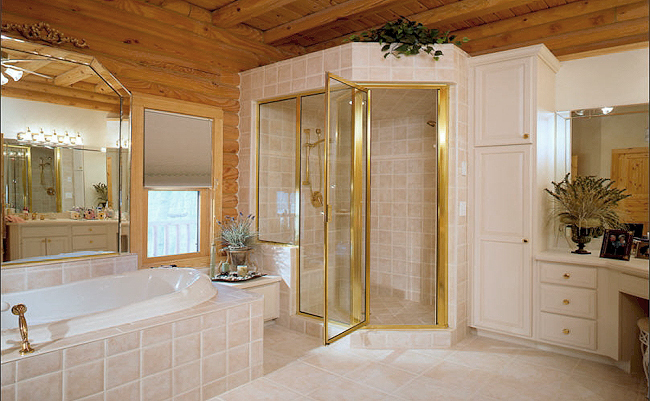 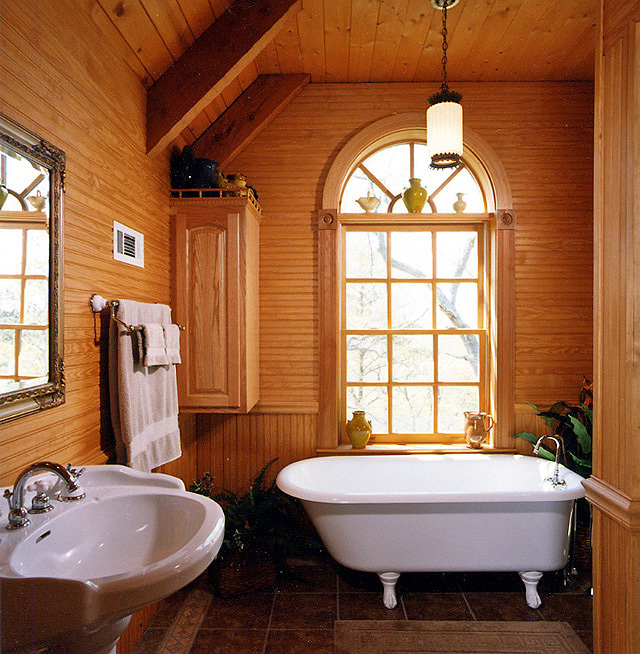 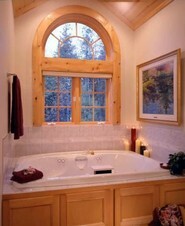 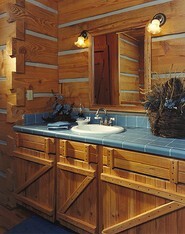 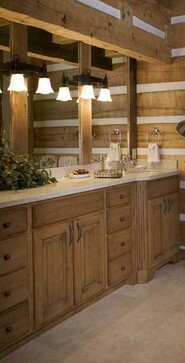 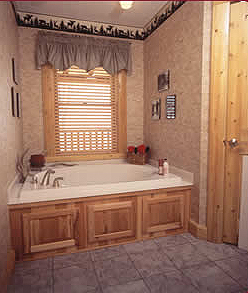 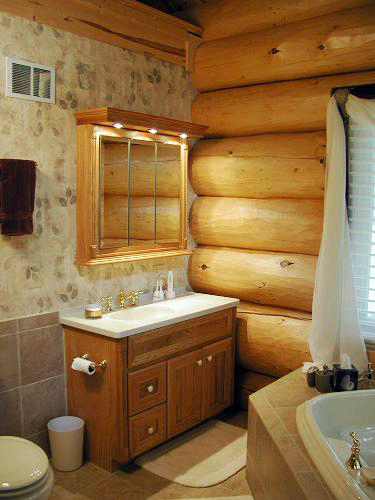 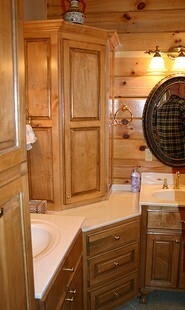 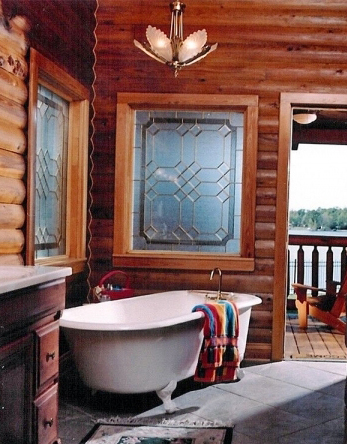 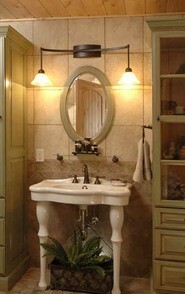 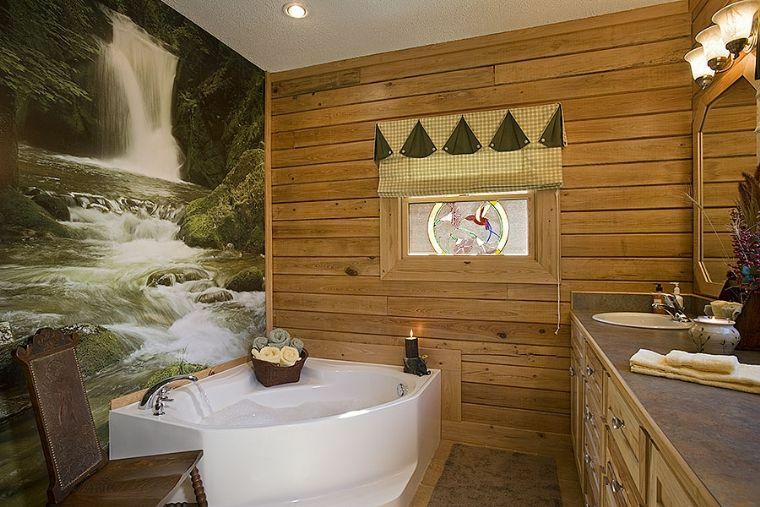 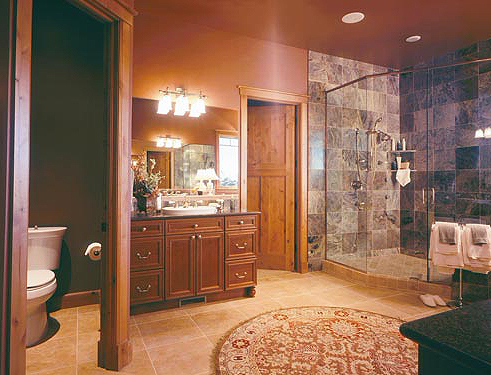 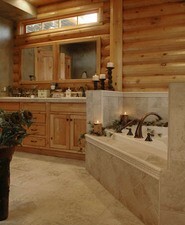 Here are lots of pictures of log home bathrooms that can be used to get design & decorating ideas for your own new (or soon-to-be remodeled) bathroom. 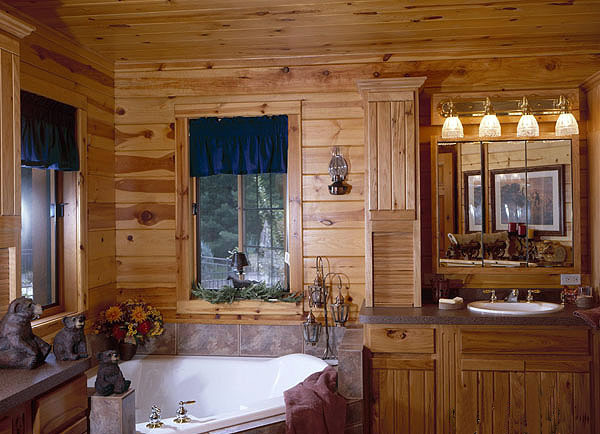 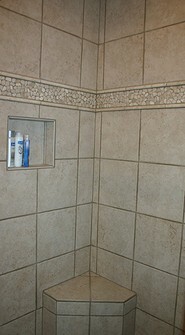 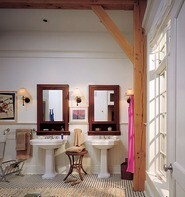 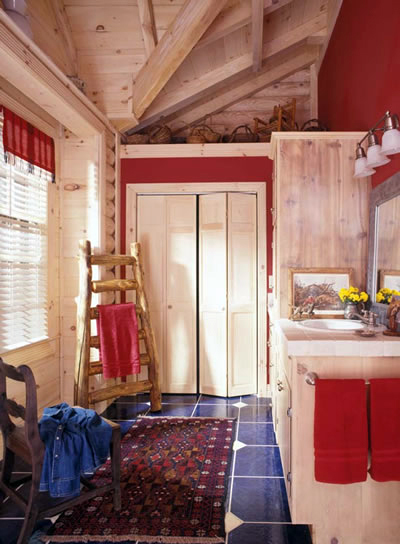 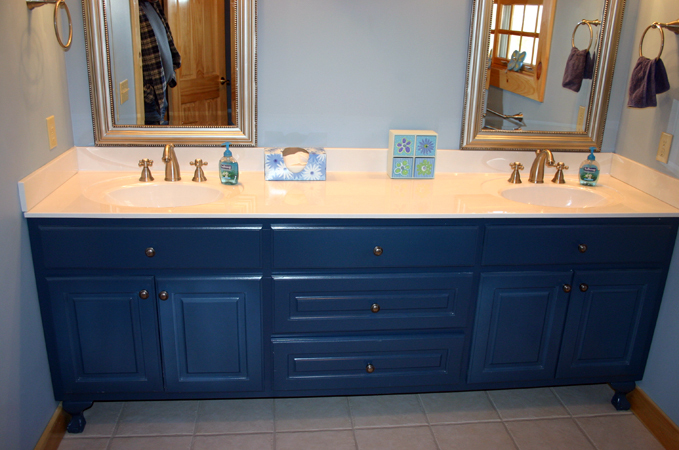 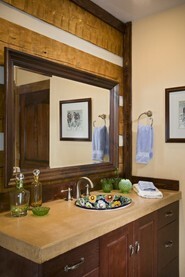 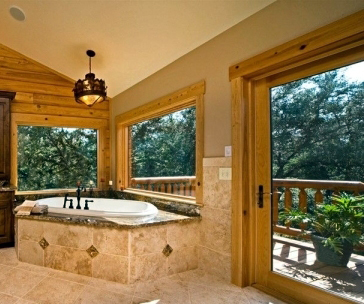 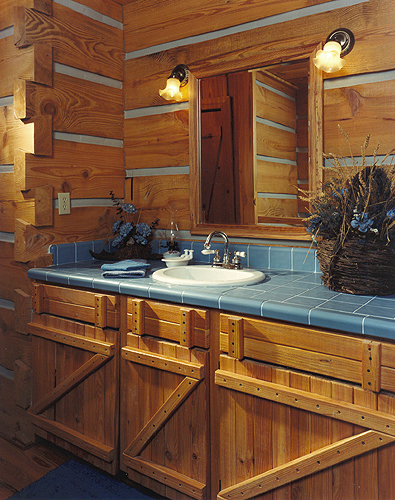 These log home bathroom photos will help you determine where to place all of those different items within your own bathroom. 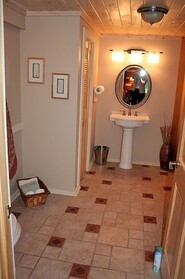 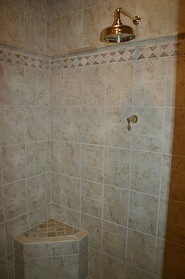 Plus, you’ll get some idea of which styles, color choices, sizes, etc. 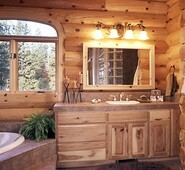 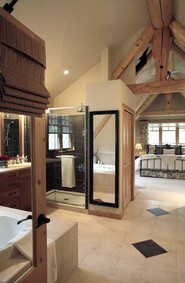 look best inside log homes.